With the owners looking for more space in their existing home, the only way to go was up! One of the priorities of the owners were a new master suite with the added square footage on the second floor, we were able to squeeze in a five piece bath, walk-in closet, and french doors that opened up to the suite. 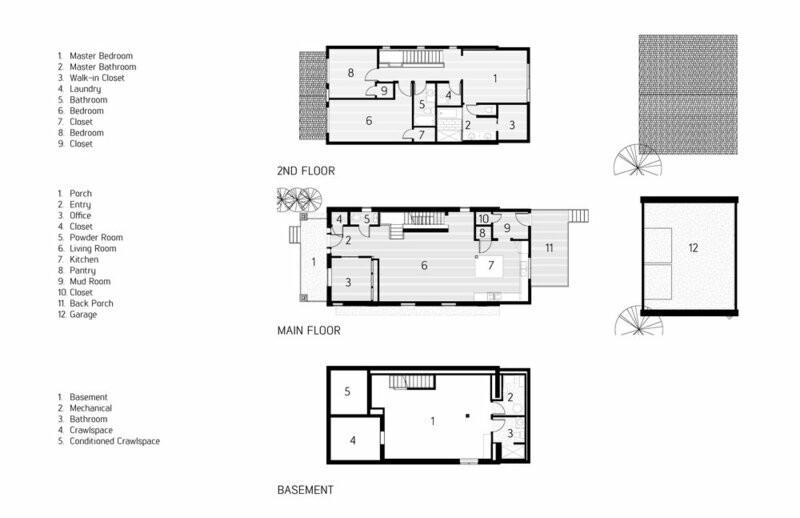 The second floor also saw the addition of two bedrooms, laundry room, and a full bath. The main floor has an open plan concept so whether you are in the living room, dining room, kitchen, or mudroom, you can interact with anyone on the main floor. The main floor also contains a powder room, an office, and pantry for the kitchen. The lower level consists of a second living area equipped with a wet bar and full bathroom. This open floor plan allows for a small seating area by the bar and a large family towards the west end of the room. Exterior brick wall were furred and filled with foam insulation for added air sealing to the otherwise porous and leaky brick. This home is currently into punch list items and should be feature ready by late summer!